Sudeep D'Souza: How do you ease traffic ? 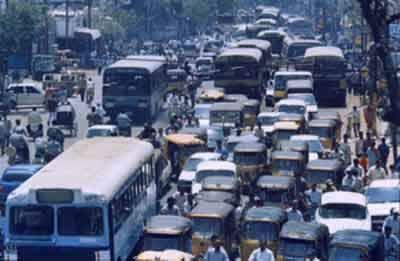 Traffic in Hyderabad is getting worse each day and the solution every one can come up with is road widening and building a flyover. But these are such short term measures - one shorter than the other. The reason I say one is shorter than the other is for the following reasons. - They are taking away space from the driveway of the building. So where does every one exit their vehicles - there is just one place the road. - They are reducing the parking in the buildings - so where do you park your vehicle - just one place the road. - They are removing the sidewalk - so where do you walk - just one place the road. As you can see that the road that just got expanded at the expense of the tax payer has got used for all the things except what it was meant to be used for. This is a story played out on so many of the roads that have been widened yet there are more and more proposals to widen roads. Road widening is no solution. To a lesser extent building flyovers does ease traffic but as every large city in the world has realised that building flyovers never really reduces the amount of traffic. They are expensive and very short term and the cost does not justify the duration of their utility. The other reason is that the number of vehicles is not going to reduce so very shortly the little space that got added in the road widening and the additional space that got created due to the fly overs is used up. We built flyovers about 6 years ago and widened roads constantly but it still does not ease traffic and we have never sat back and wondered do these measures solve our problem? So what is the solution? There is only one solution to an urban transportation issue and that is a well planned and well co-ordinated public transportation system. What I mean by a well planned and co-ordinated public transportation system is that all the government agencies should come together and devise a comprehensive plan where they complement each other when it comes to urban public transport and not compete against one another. These agencies function using the tax payers money, I have no idea why they cannot come together to build a system that would benefit the tax payer. I agree. So what can we do about the tax-payers money not being put to good use? You are missing out on some very well concealed facts. Each year, Hyderabad city is adding about 2 lakh vehicles. The share of motor cars in this is slowly but surely increasing. This increase is not merely because there is no public transportation system. It is to a significant extent because of credit markets. If you have not yet been approached by a financier to buy a two wheeler or a four wheeler it must be only because you either did not need any pursuasion and approached them yourself for a loan OR you are simply not considered credit worthy. No amount of coordinated action can cope with this kind of increase in vehicular population. So, what is the solution that the MCH is offering ? Slowly making the streets impossible for pedestrians, bicycles, push carts and so on. Just imagine a 65 year old person having to climb up and down up a 20 foot high Foot Over Bridge just to cross the street or having to walk two kilometers to reach the other side of the road. NVS Reddy thinks that GPS systems and traffic radio alerts are a solution. For whom ? Alright, and then the MCH totally agrees with you. We need reliable public transportation system. But what kind of public transportation is being offered ? MMTS and Metro rail. Just think of the capital investments in that and think of how expensive it would be to travel by the metro rail project. Again, it is something meant for a small percentage of the population. 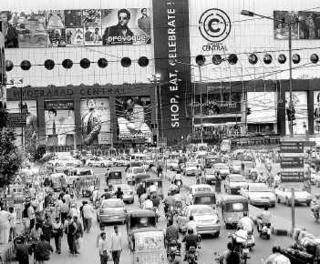 The problem my friend is that Hyderabad is being redesigned for the enjoyment and profiteering of some 1 per cent or less of the urban population. And nobody objects to this because most people imagine that they will somehow be within that one per cent if not today, well then very soon, they think they will get there. My answer to the question what should the tax payer do ? is simply that he or she should decide whether they want to be in that one per cent or not.